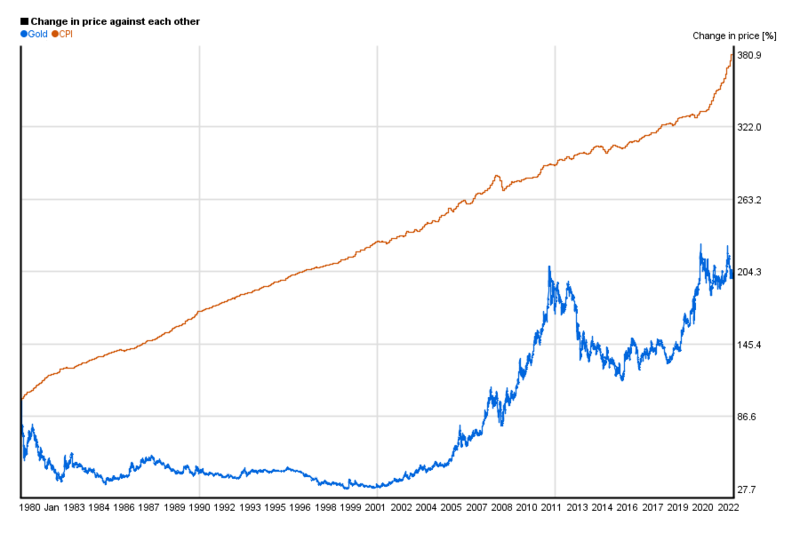 To get closer the real value it is more important to compare gold’s price change to the inflation. (More precisely, to the customer price index, CPI.) Chart below shows the relative change of both since 1948. One awaits that if gold is protecting us from inflation, its price follows CPI. Well, its price hasn’t always followed CPI. 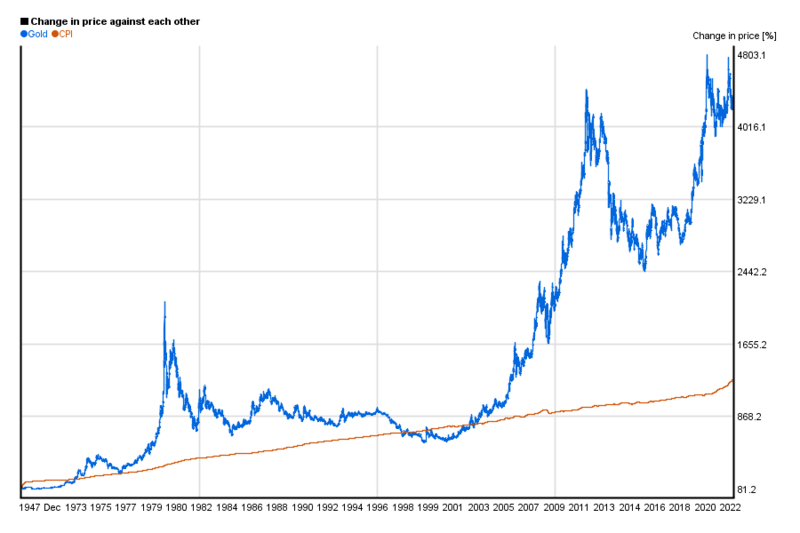 From historical point of view, it had serious spikes in 1980 and since the financial crysis broke out in 2008. So, how much is gold worth then? 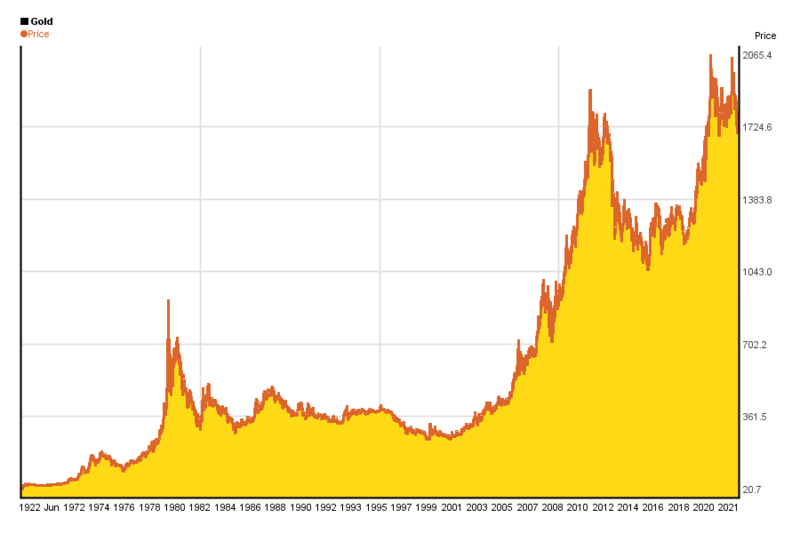 Truth be told, gold’s price in 1980 has been driven by massive speculation. Nobody can take seriously any present value calculation based on that – it is just misleading. All other calculations tell, that price above $1000 was too much (in March, 2017), but we only considered CPI, and not all market factors. But this does not mean that it has to go any higher nor means it that it has to fall. **You can download historical gold data back until 1793 here. You can download US CPI data here.